When the Ara Parseghian Medical Research Foundation was launched in 1994 by the Parseghian family and an army of dedicated volunteers, their first and foremost goal was to raise money to fund research to find a treatment and cure for Niemann-Pick Type C disease (NP-C). 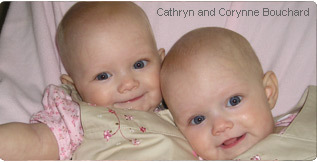 They had no idea of the positive impact they would have on NP-C as well as many other disorders through their efforts. Three of the Parseghian's four children had been recently diagnosed with this fatal, genetic, neurodegenerative, cholesterol metabolism disorder for which there was no cure. Medical research was their only hope. So much has happened in fourteen years...and, so much has been learned. Thanks to the generous support of thousands of individuals, corporations, foundations and other NP-C families, more than $33 million dollars have been raised for research. The number of labs studying NP-C has grown from 2 to more than 50, with 25 being funded currently by the Parseghian Foundation. More than 88% of all funds raised go directly to research. Because NP-C is a cholesterol metabolism disorder, the research is also helping those who suffer from heart disease and stroke. Through Foundation-sponsored research, the gene responsible for NP-C1 was isolated in 1997. With this came the discovery of a cholesterol pathway in all humans that previously was unknown. This is but one of many examples of how the research--which covers a multitude of areas and fields--is not only benefiting NP-C but a host of other diseases. Patients suffering from other storage disorders including Tay-Sachs, Fabry, Gauchers, Batten, and Sandhoff will potentially reap the benefits. Similarities between NP-C and Alzheimer's are becoming more and more apparent each day. The buildup of a "tangle" in the brain of NPC patients mimics what occurs in Alzheimer's. In fact, the National Institutes of Health has referred to NP-C as "childhood Alzheimer's." Yes, our hope is that NP-C research will some day save the lives of children and young adults afflicted by this disease in the US and abroad. Throughout the process, however, we know thousands of others are being helped by the scientific discoveries that are being made through Niemann-Pick Type C disease research.